This leadership self-assessment will identify your areas of strength as well as areas which may need development. 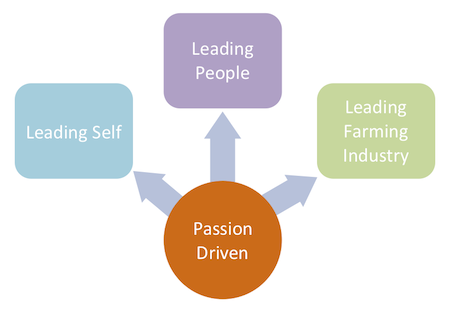 This leadership self-assessment tool is designed specifically for leaders in Canadian agriculture. Competency in leadership stems from four areas (see graphic below). Within each of these competency areas, you will be asked to examine your current knowledge, skills and attitudes. You will also be asked how important each area is in your current role. This will help identify not only your current level, but also where you can most benefit from additional training or support.